Personal Yoga Trainer At Home | Power Yoga At Home | Home Yoga Classes | Power Yoga Classes For Ladies At Home | Meditation Classes At Home | Yoga Classes At Home For Women | Female Power Yoga Classes At Home | Yoga Classes For Diabetes At Home | Yoga Classes For Asthma At Home | Yoga Classes For Heart Problem At Home | Power Yoga For Womens At Home | Female Yoga Teacher In Delhi | Home Yoga Trainer For Weight Loss| Female Yoga Teacher At Home | Female Yoga Trainer At Home | Yoga Teacher For Weight Loss | Yoga Trainer For Weight Loss | Yoga Trainer At Home | Yoga At Home | Yoga Classes At Home | Personal Yoga Teacher In Delhi | Home Yoga Teacher In Janak Puri | Personal Yoga Trainer At Home | Home Yoga Instructor | Power Yoga Trainer For Females | Home Yoga Trainer | Home Yoga Trainer At West Delhi | Home Yoga Trainer At East Delhi | Home Yoga Trainer At North Delhi | Yoga Trainer At Home In South Delhi. "I had joined "Indira Gandhi Institute of Yog Services" (IGIYS) and learnt a lot about various "yoga asana" . The course is designed in such a way that you get complete knowledge of yoga and all life style disorders which helped me to cure many diseases of people. Now I am earning my life from "Yoga Classes at Home" as "Home Yoga Trainer" all thanks to Director Mr. Pankaj Thakur." "As a part of "Indira Gandhi Institute of Yog Services" (IGIYS) now I am capable to earn my living by taking "Yoga Classes at home" and "Corporate Yoga Classes" . 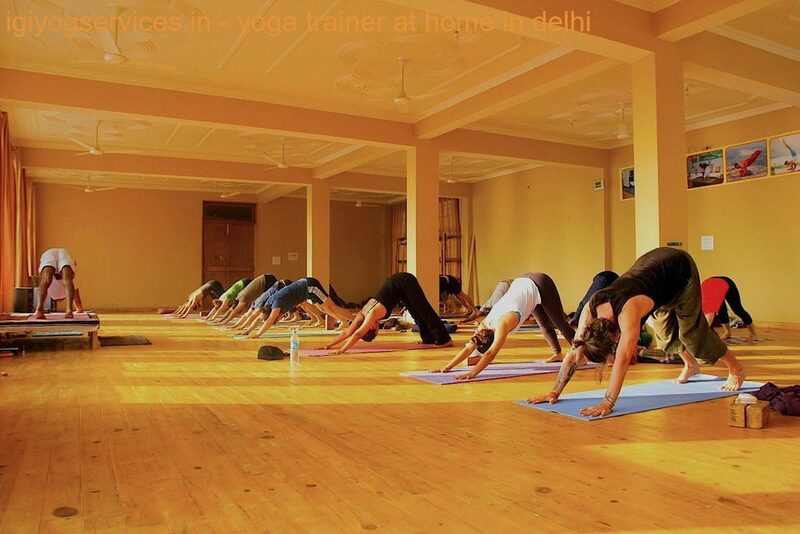 "Indira Gandhi Institute of Yog Services" concentrates more on individual Home Yoga Training which helps to concentrate and focus more on accuracy yoga. In IGIYS we learn a yoga teacher is fully dedicated to each student so that each student gets individual focus. "Indira Gandhi Institute of Yog Services" teacher cross check each moves and yoga postures so that a student gets his body properly aligned. A good training always comes from a good yoga teacher"
"I had completed my Certified diploma from "Indira Gandhi Institute of Yog Services" and happy to have Home Yoga classes. I had started my own business and opened a center in west delhi. "Indira Gandhi Institute of Yog Services" helped me to set up my business by their guidelines and moral support. All thanks to them now I am earning as "Yoga Trainer At Home"
"Job security is definite. I got my first home visit within one week of my completion of diploma in yoga from IGIYS. 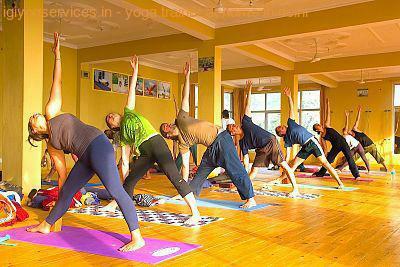 "Indira Gandhi Institute of Yog Services" (IGIYS) yoga teachers are very much professional and talented. They are my role model and I follow their moral values and yoga spirituality. I am happy to be a part of IGIYS team family"
"The best part I liked about "Indira Gandhi Institute of Yog Services" is that after completion of yoga course they help yoga students to have "Yoga Classes At Home" that provide some assurance of job security. Most of other yoga institute does not provide any job security"
"Since I was topper in "Indira Gandhi Institute of Yog Services" yoga batch I got opportunity to go with the IGIYS officials for corporate event as internship. I learned a lot about "Corporate Yoga Classes" and got more exposure to "Corporate Yoga" or commonly called as "office yoga" world along with "Yoga Classes At Home" . In "Indira Gandhi Institute of Yog Services" I learned to be yoga professional and how to interact and counsel with company's officials. Its dream coming true, awesome training and thanks to "Indira Gandhi Institute of Yog Services" (IGIYS)"
"I had done my diploma in yoga from "Indira Gandhi Institute of Yog Services" (IGIYS) and working as "Expert Yoga Trainer At Home" . I get regular "Home Yoga Classes" from IGIYS and earning 60000 in a month"